After catching up on over 400 e-mails from being out of town for almost 3 weeks, I was pleasently surprised to see this post from Room Remix-The Blog about Atlanta designer Sherry Hart's rustic modern nursery. 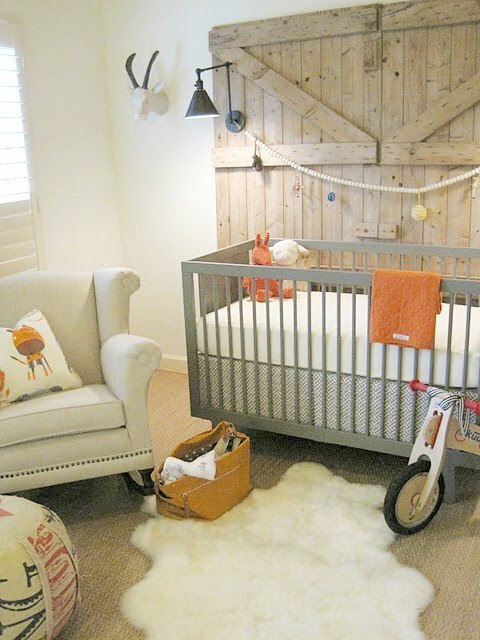 The barn doors behind the crib (above & below), were originally used as a headboard in a bedroom in her home. 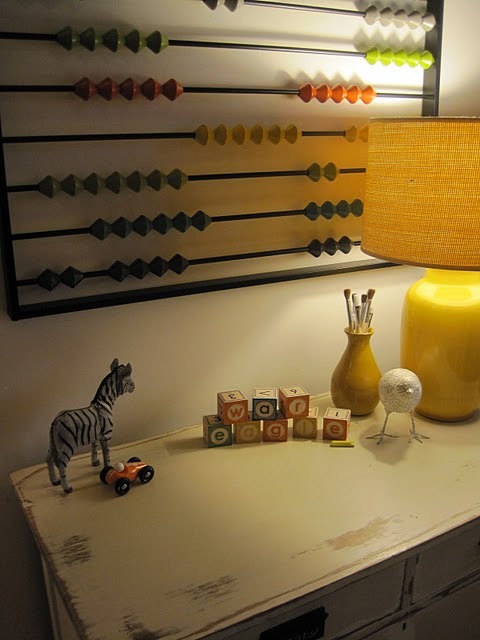 She mixes modern elements such as the Sparrow crib by Oeuf, the Expedit bookshelves from Ikea, and an Abacus from CB2 with a rustic dresser, light fixture and linen chair and pouf. Also notice in the photo above how the ceiling is painted a deep mustard yellow? If you like white walls but don't want a stark feeling in the room paint the ceiling. She also pulled down the paint about 12" and added a strip of trim below the ceiling line to bring a little color into the walls and visually bring the height of the ceiling down. A very nice touch and easy to DIY. 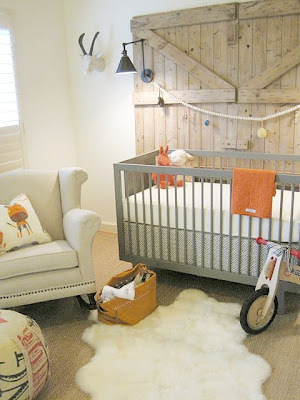 For more photos and details on the nursery, visit Sherry's post on Design Indulgence here. Great find! It looks amazing! Love this space and I can't rave about the Ikea expedite bookshelf enough. 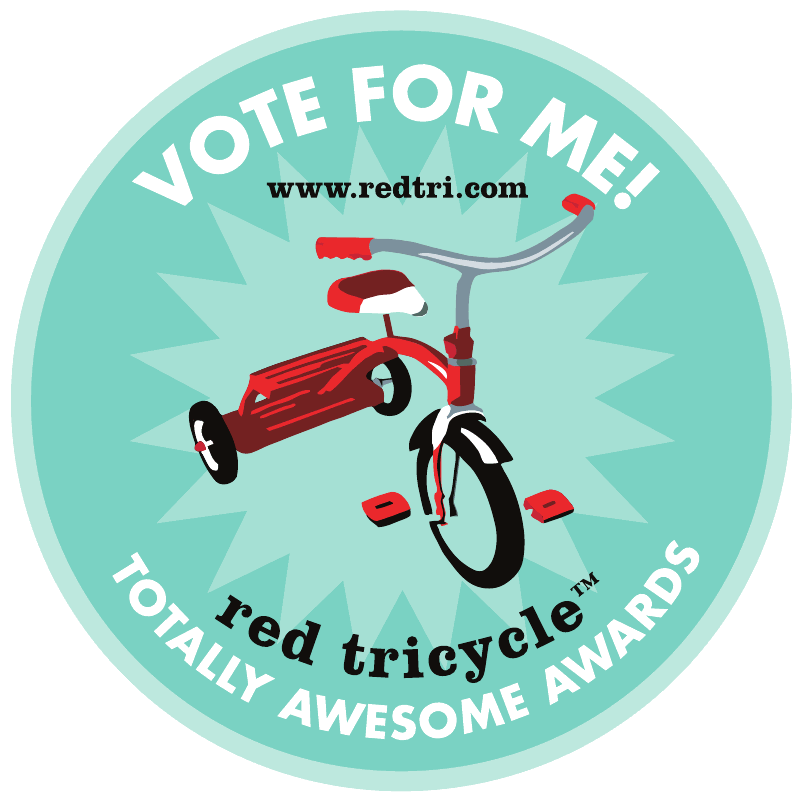 I used them spaces with children...they are perfect for bins/toys/books! That is a beautiful yet functional looking nursery. 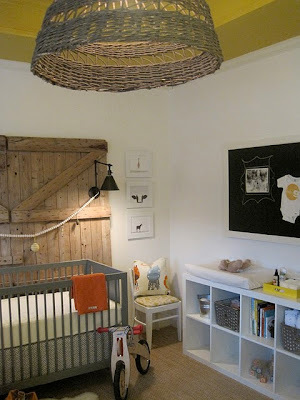 A lot of the nurseries I have looked at for inspiration seem like they aren't practical but this one seems like it has the best of both practicality and design. Lovely post, thanks for sharing!